Book a trial class at The Pole Gym Brisbane City. To participate in Level 1 or Pole Newbies classes you must be female, aged 18+ years. If the class is marked ‘co-ed’ then men and women aged 18+ can attend this class. 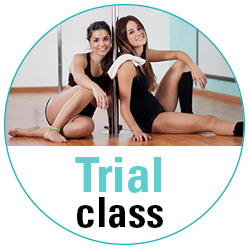 If you have done pole before please contact us to arrange a time for a free level assessment, as the Pole Newbies Trial Classes are designed for people who have not tried pole before. Other options are available for men if there are no men’s or co-ed trial classes listed below, please contact us. Options are also available for those under 18 years old but you need to contact us directly for information.